This is a stamp set by Taiwanese Artist Lin Chia Ning. 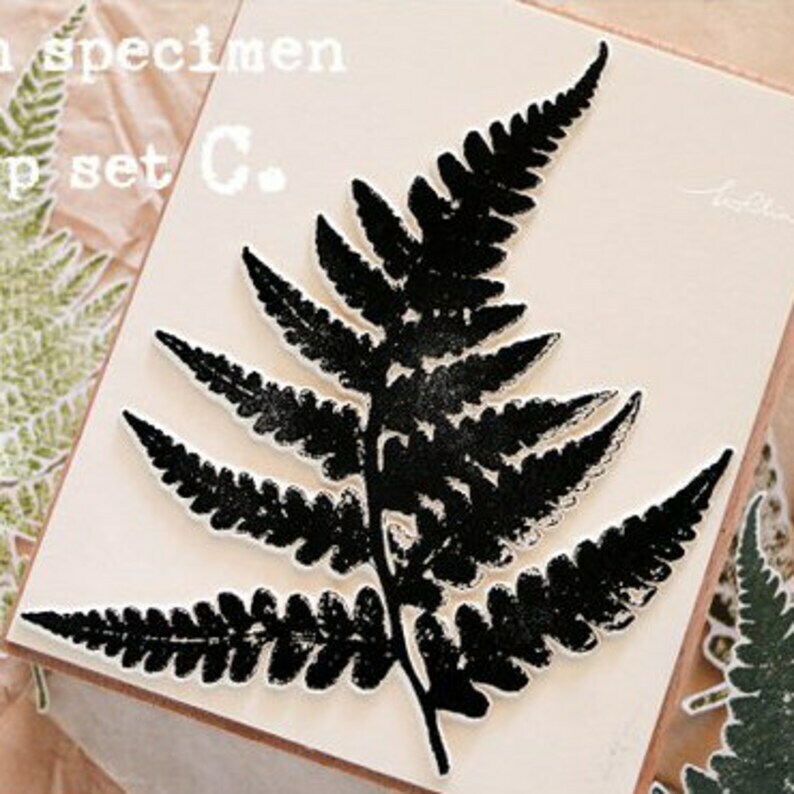 A large sized fern to decorate journals, snail mail, packages, gift tags and more, these stamps are beautifully detailed and perfect for layering. Stamp also includes a pkg of gummed labels. *Please note, stamp rubber, comes separately and unaffixed to the wood block. This is done so that the stamp owner can customize the stamp to their preference by choosing to mount the full stamp or to trim away the excess prior to mounting. So happy to finally have this! Fast shipping and regular updates provided! Perfect! So happy to finally have these clips. My desk never looked so organized. Great seller, fast shipping. Opening the package was like Christmas. So lovingly packaged and cute.